With elevations climbing to more than 11,000 feet, the White Mountains of northeastern Arizona are home to the largest stand of ponderosa in the world. I find that to explore the spiderweb of old logging red cinder roads running through them is food for my soul. Not only do I enjoy the pine smell and sounds of the wind through the trees but there is a clear and present possibility of running into many flavors of wildlife along the way. The endless forests are a place of adventure, beauty and fire. 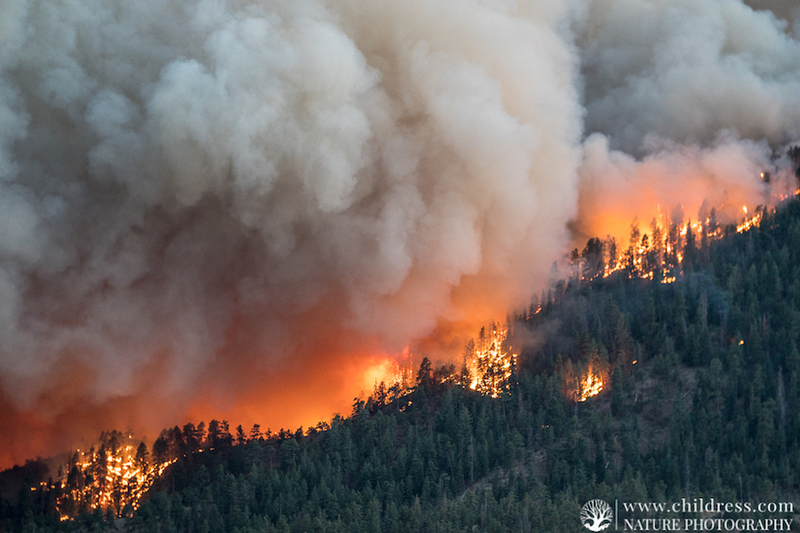 Tens of thousands of acres have succumb to epic wildfires and the history of these fires are in plain sight wherever you go. 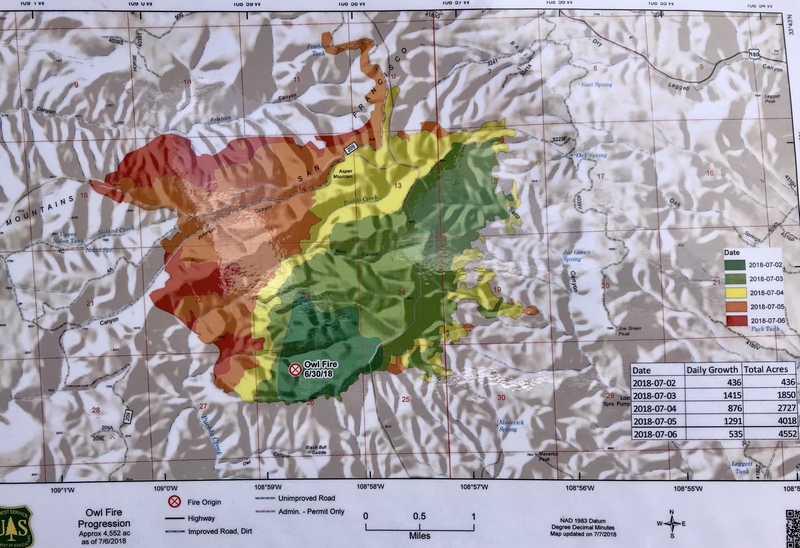 Many of these were crown fires that burned so fast and hot there was no way to control them and they left vast ponderosa and aspen cemeteries in their path, especially along ridges. All of this adds to the photographic story that I get to tell because an area with fire damage has it’s own mood about it, sounds and dangers along the way. Beware of the next dead tree to fall during a wind gust and do bring your chainsaw when on backroads. 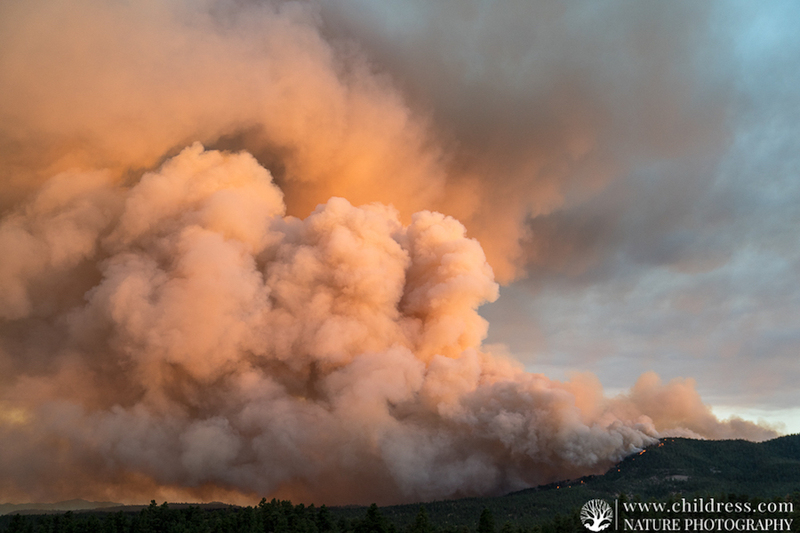 There is new fire 20 miles from our home right now called the Owl Fire, which started June 30th 2018 at 11:00am by lightning. It is 0% contained and over 5000 acres, filling the valleys with smoke for miles around. The old timers say that this is the driest in 60 years around here and we finally got some rain today which is what the doctor ordered for 276 firefighters. For me it’s a personal photo project so I have been shooting it daily, hoping to give others a glimpse of a real-life monster and the heros who battle it.